Having a change of approach, but not a change of philosophy. ≈ Comments Off on Having a change of approach, but not a change of philosophy. Epiphany. Defined by Webster’s Dictionary as “a moment of sudden realisation or insight”, and as a religious festival which isn’t quite what I’m looking to emulate. I have been conscious for some time that the terms that Stephen Covey used to describe The Three Resolutions, while profound and appropriate for their time and for his particular approach, may not be the best terms to use in the 21st Century. To an audience of those who need instant understanding and a willingness to participate in what is being communicated, expressions such as ‘self-denial’ and ‘noble purpose’ smack of a monastic approach to life, and that isn’t what The Three Resolutions website is supposed to be. 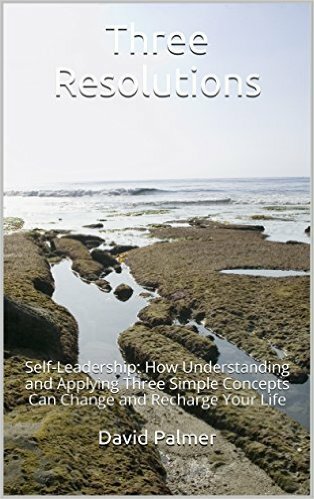 If you’ve read my book (now unpublished while I completely review it with this new focus in mind), or the earliest posts when the 3R concept was first put on line, you will be aware that I consider that the 3Rs are a progressive approach to getting results, insofar as self-discipline leads to character and competence leads to serving in a way that benefits us all. That hasn’t changed, only the way I am going to describe it from now on. ethically go out and make things happen that serves all concerned. My focus is now going to be on that review and rewrite, so please watch my @3ResolutionsGuy Twitter feed for interim updates and things develop. One of my philosophies on life is that service to others does not necessarily have to involve self-sacrifice. It can also include doing something you love doing, in a way that others also benefit. This week I passed my Institute of Advanced Motorists ‘National Observer’ Qualification which will allow me greater opportunities to engage others in enjoying their driving while doing it better, safer and for the particularly adept, faster (but within legal limits, I stress). And there is absolutely NOTHING in the 3R concept that disallows preening once in a while. Serve others – because in doing so you will serve yourself. ≈ Comments Off on Serve others – because in doing so you will serve yourself. I had the pleasure, honour and challenge of presenting a principle-centred leadership programme to a class of young people this week, which makes the above quote a little more appropriate and timely. Years ago I approached the UK arm of the 7 Habits ‘people’ about providing Seven Habits training to schools, and as they’d already thought of it themselves (DUH!) they were piqued by my interest and invited me along to a consultation on the subject. Much later I was able to fund and provide a full 7 Habits for Teens programme at a local school, and after a lot of other opportunities came my way I am now able to provide such training on a more formal basis. When I first started following the 7 Habits, which was as a result of reading First Things First and being enthralled and inspired by the approach to principle centred living, one of the most impactive thoughts I had was, “Why wasn’t I taught this in schools?” As a (then) 35-year-old having a bit of a crisis, and coming through it because of what I had read and applied, I was almost embittered by the fact that I had learned this ‘stuff’ 17 years too late. In fairness, as it had only just become well-known since the publication of the book when I was 28 this was not entirely society’s fault. But now this kind of training CAN be taught to schools throughout the world, and specifically in the UK, I would ask any of you involved in education to look at the site through which more details can be found, namely, http://www.learninganddevelopmentacademy.com . Engaging young people and telling them that what society, their environment and their past tells them may not be true and that they are able to control, plan, prepare for and execute on their own destiny is immensely noble. Yes, my Third Resolution is being executed on by my providing this service to teenagers and their teachers, and at the same time this provision allows me to reinforce my own (usually poor) performance in this area. We learn most what we teach. The more I teach this material the better I get, not only as an individual but as a teacher. What do you do that teaches you as you serve? What sort of person have you become – or could you become – as a result of discovering your own noble purpose and serving others in a way that simultaneously serves you? Find out. Then do it. It’d amazingly developmental. For more on the Third Resolution, invest in The Three Resolutions at Amazon. Or get the Kindle version HERE. Establish a Planning Process – here’s mine. ≈ Comments Off on Establish a Planning Process – here’s mine. It’s difficult to prescribe any particular time frame for planning because so many of us have different working lives, from those whose work is set for them to those who have to seek it out and sell it, and whose planning is therefore dictated to a larger degree by what arises rather than what was set in advance. The reason I chose the weekly approach was because I was a shift worker, with varying start and finish times, and things that had to be done being constantly interrupted by emergencies, the curse of the emergency services, which in turn gave rise to more new things that had to be done. I also chose it because I read First Things First by Stephen Covey, who proposed that it wasn’t ‘the week’ that was inherently magic, it was the perspective of a week that changed one’s approach from one of managing crises on a daily basis to looking at a week in the whole and planning not only for an appointment but also for the preparation for that appointment. Planning a week turned life from a collection of last minute, almost panicked activity conducted during breakfast, to the creation and recognition of a blueprint for the week that allowed for a gentler introduction to any day. Other rationales for choosing a weekly approach is because the world works in weeks – schools, offices, factories – the vast majority of the working world works in week cycles and so there is a logical basis for us to do the same. Next, daily focus tends to result in constant readjustment around what is right in front of us rather than our ultimate objectives – interruptions rule, and we let them. Having a wider perspective allows for focus ON that longer term plan. And that includes planning renewal time, time for reading, study, exercise and social-emotional activity where we focus on relationships with ourselves, and with others. Once you accept that planning a week is better than coping with a day, it makes sense that you should establish a calm routine for doing just that. So the first appointment to make is one with yourself, before the week begins or, if you prefer and I occasionally did, at the end of the week where the work you recognise needs to be done remains fresh in your mind because you are still slightly engaged in it. But try and establish a routine time and day when your planning will be done. And so to the Planning Process, illustrated on the screen. First, connect to Mission. Regardless of whether or not you like that term, those of us involved in coaching and personal development training will be aware that clients who have a long term, even life plan tend to be grounded and have an idea of where they are going in life. Kerry spoke of vision statements a couple of weeks ago and I encourage anyone who doesn’t have a mission statement, or vision statement, or at the very least a clearly set out and defined personal values, should set out and discover that code of conduct and identify a life objective – because everything you do should in some way be a reflection of that statement as far as humanly possible, if you are to feel any sense of inner peace and achievement. Therefore the first task in weekly planning is to review and re-engage with that mission and remind yourself what you are about. Next, consider your roles. We all have roles, and if you were to ask the average client for a role the first one they identified would almost invariably be their job title. But we all have other roles related to family (son, daughter, spouse, parent); our community (volunteer, contributor); our professions (union, professional associations) and so on. The reason we consider roles is because they provide a context to the planning – we have things to do in each role that need to be part of the plan. Another reason for considering your roles is because roles invariably involve other people, and this is important – we manage our time only in the context of the relationships we have with the people we live with. When you make a plan you take into account the needs, wishes and even the availability of those people. Doing this on a daily basis means you inadvertently make your crisis their crisis. How rude is that? Planning on a weekly basis allows them to be as prepared as you are for whatever it is you need to work on together. Third – ask yourself, ‘what goals do I have to achieve in each role in the next 7 days?’ Write them down because the objective is to make sure that those things get progressed. This is an opportunity to make sure, for example, that a family goal is catered for even when work is pressing. By knowing in advance what needs to be done, you increase the likelihood that it will get done. Fourth – set out the plan. Most time management texts instruct the reader to make a list of the things they have to do that day, and then prioritise those tasks using an ABC, 123 method. They call this ‘Prioritising Your Schedule’, listing tasks in the order that they need to be done. The weekly process has a different focus – it’s called Scheduling Your Priorities. You have your goals, and by virtue of the fact that they ARE goals and they (should) be representative of your priorities – or they wouldn’t BE goals – then they are ALL priorities. So the weekly process states – plan a point in the week where you will do the thing that you consider to be important. Subject to ‘life’ getting in the way, decide when, in the week, you will do that thing. Appointments are obvious; their place in the plan is already set. But here’s another mind blower – when you have a prioritised task to do, why not plan an appointment with yourself? You may have a goal to write a letter to Fred, and you put it on a to-do list. At the end of the week, Fred’s letter remains undone. But if you take that task and turn it into an appointment – say for 3pm on Thursday – what are the increased chances that by 3pm on Thursday you will be sat at your desk with the letter’s content firmly in mind? The fifth part of the system is the hard part. Exercise integrity in the moment of choice. As the cliché says, this is where the rubber meets the road. It’s the point where your willingness to do the thing is challenged, be it by fear, doubt, laziness, ennui, boredom, diverted attention or other distraction – and you have to decide whether, or not, you are going to do it. Integrity requires only that you decide whether doing it as intended is the right thing to do, or whether the thing that is challenging your willingness to do it is a genuine, mission-related and justified alternative to what you had planned. For example – your plan involves making 10 cold calls about keynotes. If an opportunity to go shopping with a friend arises, your integrity dictates which you do. If it’s a neighbour who suggests food shopping, what do you do? If it’s a friend you haven’t seen for 15 years and who is in the area only that day, what do you do? Integrity allows for genuine plan changes, but does not permit procrastination! Finally, at the end of the week and just before planning the next one, you conduct a quick Evaluation. How did the past week go? Did you achieve what you intended? If not, did you act with integrity? If not, was what you didn’t do really mission-orientated anyway? Or can it be rescheduled for the next week? What didn’t you do that still needs to be done? What can reasonably be dumped? What challenges did you overcome? Did you break any promises, under perform, or excel in any way? In the final analysis – what did you learn? And next week – how will you apply what you learned? In conclusion: What is the underlying benefit of weekly planning? It is the possession of a clear line of sight from what you believe is important to you – your mission – to a personally created, focused plan of action, to the exercise of integrity that develops the character that results in that mission being achieved. It overcomes the challenges created by trying to plan day by day, when doing so is fraught with the ever-present reality that something will get in your way, something unplanned. When you have a longer term plan you plant the intent to see it through, and when challenged, its very existence – and your emotional commitment to seeing it through – will make sure that you find a way to get things done. For more on creating and using a paper planning system, go to THIS PAGE and download a FREE copy of the book. The 4 Human Needs and The Third Resolution. Contrary to all ex-servicemen and ex-police officers basic instincts I volunteered again this week, to serve an association to which I am, er, associated. Why, I don’t hear you ask. 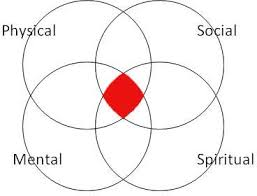 Humans have four needs, as proposed by Stephen Covey. (Tony Robbins identified 6 but they’re encompassed by Covey’s 4.) When all 4 needs are met, you hit a sweet spot, as illustrated. to leave a legacy (meaning need). Let’s focus on that last one for a moment. This isn’t a call to action by someone seeking your blind obedience. If you to choose to accept it, it is your personal declaration of, and commitment to act upon your own conscience-driven acceptance that in order to have some meaning in your life, you have to (and must want to) provide service to others. It is a spiritual need, a need to not just be good, but to be good for something, something outside of ourselves. While an egotist may be satisfied with a headstone that says, “See, I told you I was great,” the rest of us would like to have been appreciated by someone for having done something that they remember affected them positively. Even the statement, “Beloved father/mother/brother/friend” shows an appreciation for who we were in respect of others, and what we meant to them. So, as conscience-driven commitment to, and in compliance with the Third Resolution, it is our responsibility to find opportunities to serve. My own recommendation is that you serve family first, and then those organisations to which you are connected and which, if you think about it, have already served you. That can mean communities, charities, professional associations, you name it. Anyway, that’s what I’m doing. Next, I get to find out what I have actually let myself in for. ≈ Comments Off on Just a second! And here’s a short list of the challenges (excuses?) that face us when we try to do that. Social pressure – when those around us either doubt we can do it and say so out loud, or when they actively denounce your values and attack you for having them. Distraction – in an age of immediacy through technology it is easy to be pulled away from a desired intent in the moment. Influence – when the interests of other parties (particularly when they have power through wealth, the media (my favourite) or strength), are pushed at you constantly in an effort to drive your emotions where they want them to go and not where you need them to go. Confidence – or more accurately a lack of self-confidence arising in the instant you need confidence the most. Convenience – when the easier option shouts loudest. Exercise Integrity In The Moment Of Choice. It literally takes a second. The most effective ‘time management’ second you ever spend. Not easy. In fact, quite difficult on occasion. But eminently effective and productive. And in the end, incredibly satisfying. Lies, damned lies and statistics. What would YOU do about them? Three days ago I wrote about truth. One of the lessons I have learned over many years of the study of Dr Covey’s works has been this – what we are being told is rarely, ever, the wholly accurate truth. That use of the gap between stimulus and response which contains self-awareness, creative imagination, independent will and conscience has awakened me to how much people’s bias or motives intrude upon communication and debate. This week the press reported that there had been an upsurge in complaints against the (British) police, up to 35,000 recorded in the latest recorded year. One paper said that was evidence of a police force that did not respect the people. Many complaints were for ‘incivility’, some for ‘neglect of duty’. Of course some complaints are justified. Some are genuine misunderstandings about what was and was not possible (based on watching NCIS and The Bill). Occasionally it is a procedural complaint that a process failed. But the media was focused on the numbers, but it notably left some numbers unreported, or unrecorded. And they did no analysis of their own. For example – 35,000 complaints among 140,000 officers meant only one in four officers was ever complained about, and complained about only once in that year. In hundreds and hundreds of interactions, in 200 days of working. Takes the tint off a bit. Next, no measure was provided about how many of those complaints were be people later charged, or convicted in connection with the incident giving rise to the complaint. I’d ask this because (and this may surprise you) some criminals/people are dishonest. Of course, you can’t measure complaints by those who just won’t listen – people who lose things insisting on a ‘crime report’; people who instigate fights complaining that they were assaulted; people who ‘think’ they know the law – but patently don’t. That reminds me about one person who didn’t complain, but he arguably could have. I was parked blocking a road with my marked police car, blue lights flashing. A man drove up. “Only if one of us is a ghost, sir,” I replied. Sarcasm. Not allowed any more. Anyway, this particular newspaper report hit close to home, it’s something I know a lot about. I was once ‘top of the force’ for complaints (preen, preen) and I know how much some of them are instigated by defence lawyers as a bargaining chip. What is the situation like in your own sector – are people lying – sorry, being disingenuous about you and your colleagues? If so, could you apply the Third Resolution and do something about it? I would have killed him, but ……. ≈ Comments Off on I would have killed him, but ……. And that, ladies and gentlemen, ain’t easy. For those unfamiliar with The 7 Habits, proactivity is where we exercise our self-awareness, creative imagination, independent will and conscience in the gap between something happening to us, and our responding to that stimulus. Note – response, not react. Reacting is instinctive and occasionally results in snapping, retorting, or arguing instead of contemplating, cogitating and considering the appropriate response. T’other day I was driving along, minding my own business when a lunatic turned across my path, nearly wiping us both out. My instinctive response was to start chasing him/her, which is an example of reacting without consideration. But after about 500 yards or so I exercised the aforementioned endowments and decided that I hadn’t actually been hit, that there was nothing I could do if I caught him and I was more likely to have another bump if I kept up. I took the next roundabout and turned off. (I later called the police, it was that bad. And if he’d actually collided…… who knows.) Despite the adrenalin rush, I chose wisely. But it wasn’t always so. In a similar incident I pursued and offending driver for about 3 miles, nearly losing control of my car at one stage. That incident taught me the lesson I applied more recently. In terms of the second half of the quote, one of the commitments you could make to yourself for 30 days is to exercise proactivity whenever something happens that would cause you to bite, pause in the gap between that stimulus and your response, and decide instead to do something ‘better’. For example, when your partner says something you would like to correct or even attack, use the gap to decide whether any response is even necessary, or if it is, what response would not make the situation worse while still allowing you to retain your self-esteem. Like I say – not easy, but really worth it.